In the face of high rent and a competitive real estate market, it’s a trend we’re likely to keep seeing from chains: shrinking footprints. But the idea of small stores isn’t new—beverage-focused chains have succeeded with reduced footprints for years. “The idea of keeping the footprint small allows for us to control rent, cost and labor, and to run an efficient, profitable operation,” says Rob Streett, president and COO of Scooter’s Coffee. Knowing how to increase efficiency while driving sales is key to getting the highest profit out of minimal space, according to these Top 500 beverage chains. While not every unit can be in an “A” site, small-store operators have found that high-traffic areas—and setting up to handle a large number of guests quickly—are crucial when relying on volume. 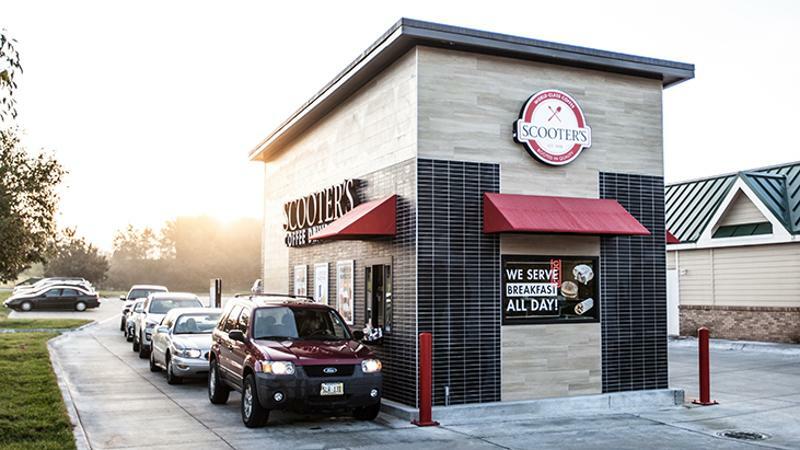 Scooter’s turns to its 450-square-foot “kiosk” model, which features double drive-thrus or a drive-thru with a walk-up window, focusing on areas with heavy morning commuter traffic. Thus far, the chain hasn’t closed one kiosk, and year-over-year sales are up 12.5%. Beverage brands aren’t always banking on commuter traffic, though. Nekter Juice Bar does well with small stores in malls and noncommercial sites, says co-founder and CEO Steve Schulze. He’s found that customers often go to these nontraditional sites with someone else, increasing the number of potential guests served. Optimizing kitchen space is a focus for downsizing chains. Scooter’s set up the back of house “so a barista literally would not have to take more than two steps to perform any function,” says Streett. The chain also has an online portal where franchisees can suggest kitchen revamps or new equipment to help with small spaces. Nekter videotapes staff to find spots for increased efficiencies. For example, after filming staff bumping into one another as they moved from one refrigerator to another with a freezer, the chain installed dual fridge-freezers. The cost was paid off in the first 30 days, because it increased speed of service, says Schulze. Nekter has seen 20-30% higher use of mobile ordering in its small-footprint stores, says Schulze. Because app customers have a 9% higher average check, the chain has invested marketing efforts on its app in those areas. And it’s digitized its employee-facing tech, too, switching from larger POS machines to smaller tablets that take up less space.